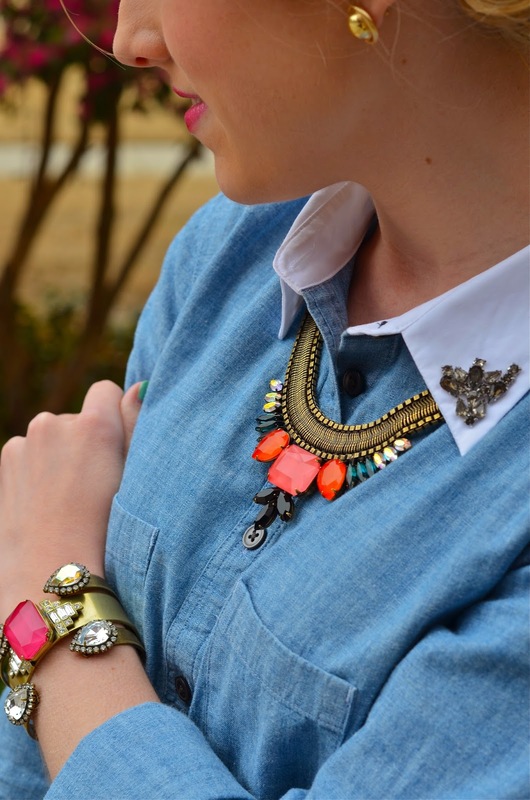 You can never go wrong with a chambray top. One of my favorite ways to wear it is to pair it with my black travel pants. It's effortless yet chic. 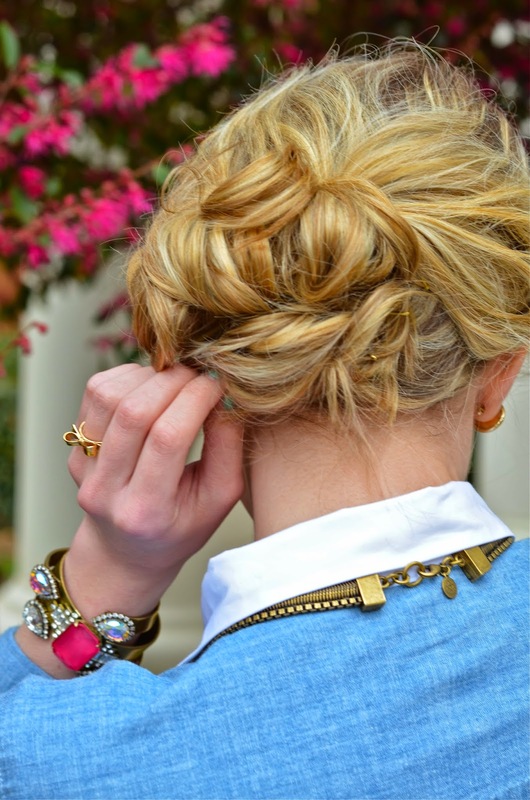 Add some jewels and color to spice it up a bit. 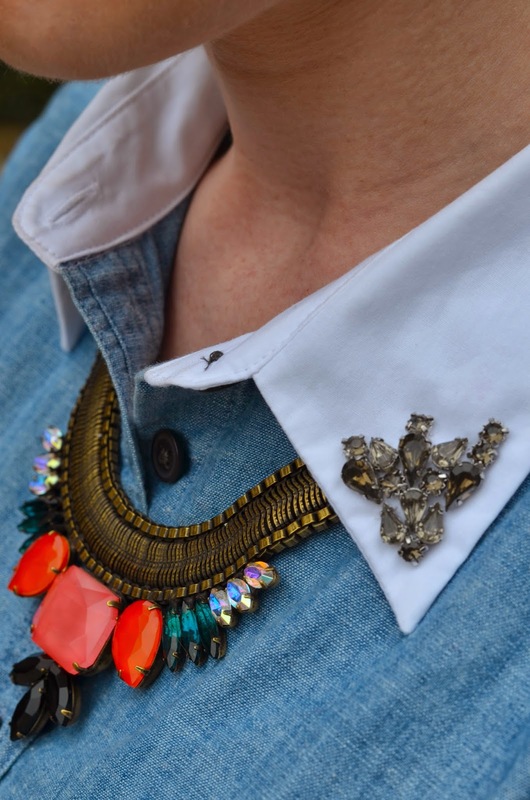 Speaking of jewels, I love how this particular shirt has jewel embellishments on the collar. Love this whole outfit but the clutch is my favorite! 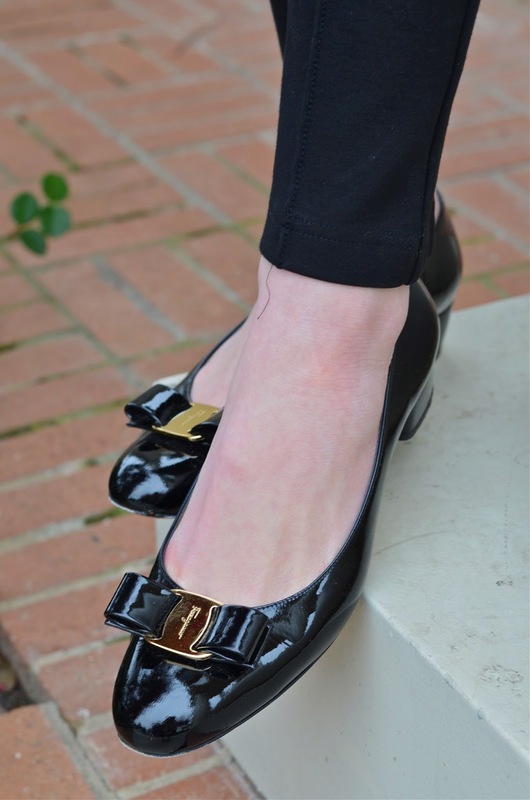 LOVE your jewels and your Ferragamo flats!! 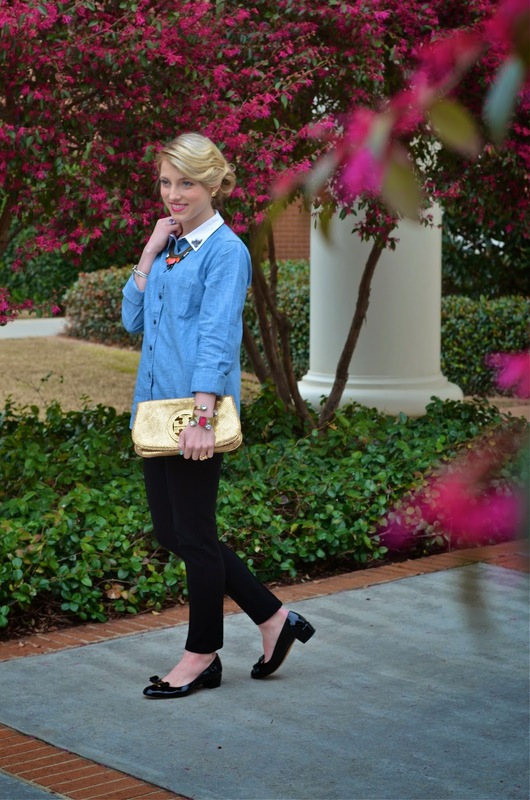 Love the gold Tory bag! You look darling, as always! 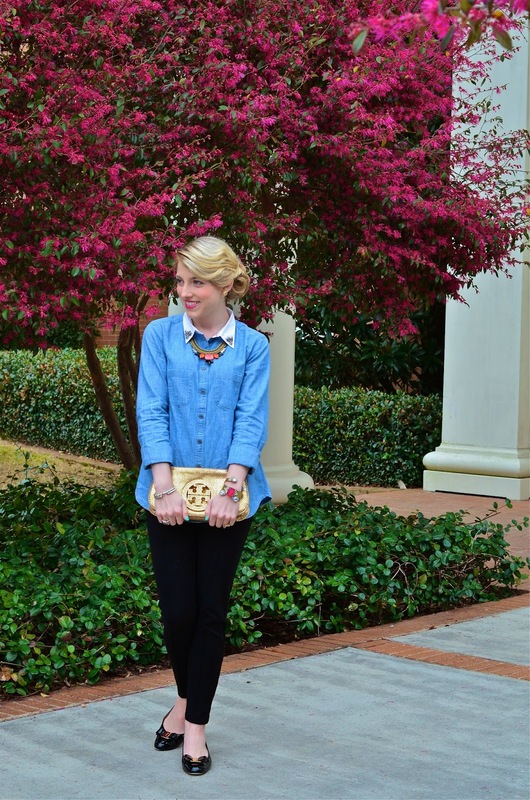 I love to wear chambray with different colors of J.Crew Winnie pants! 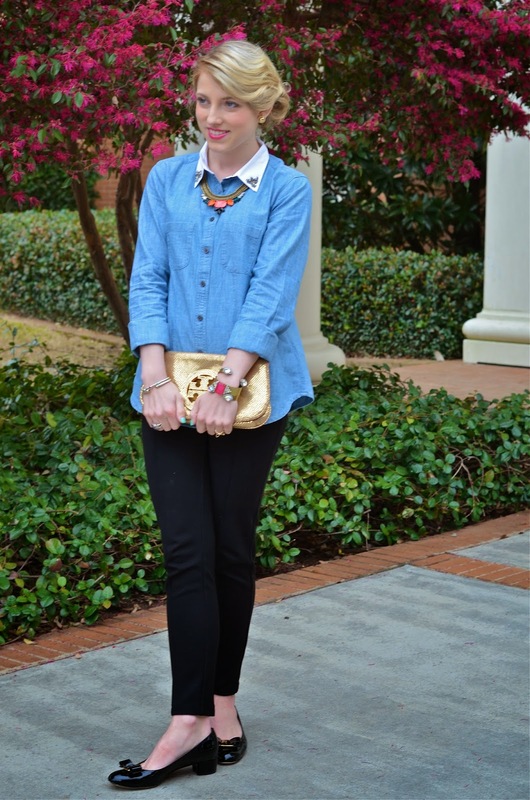 I absolutely adore this outfit, a chambray shirt is something I could not go without! Have a great weekend. I wanted to tell you that you look absolutely gorgeous in these photos! Your hair looks amazing and these outfit is fantastic. Have a great day!